Click the button below to add the AKiTiO T3T Thunderbolt 3 (host) to Thunderbolt 2 (device) Adapter MAC/WIN to your wish list. 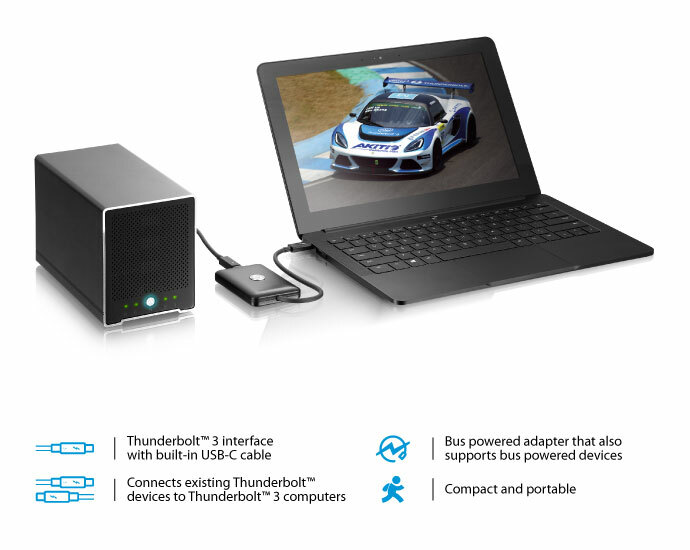 The AKiTiO T3T connects Thunderbolt™ devices with a Thunderbolt or Thunderbolt 2 interface to the latest Thunderbolt 3 capable computers. This adapter supports bus powered devices and comes with a built-in Thunderbolt 3 (USB-C) cable. 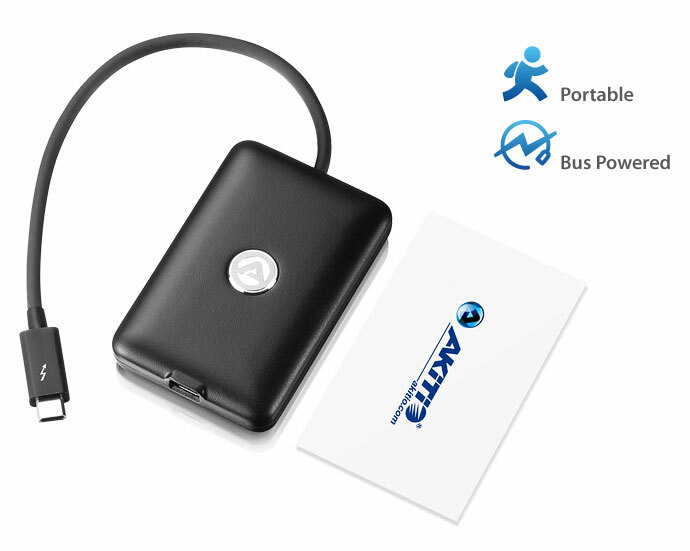 This compact adapter runs on bus-power alone and supports bus powered devices at the same time. Hassle-free with its built-in Thunderbolt 3 (USB-C) cable, this is the ideal companion for your notebook when you need access to your existing Thunderbolt devices. 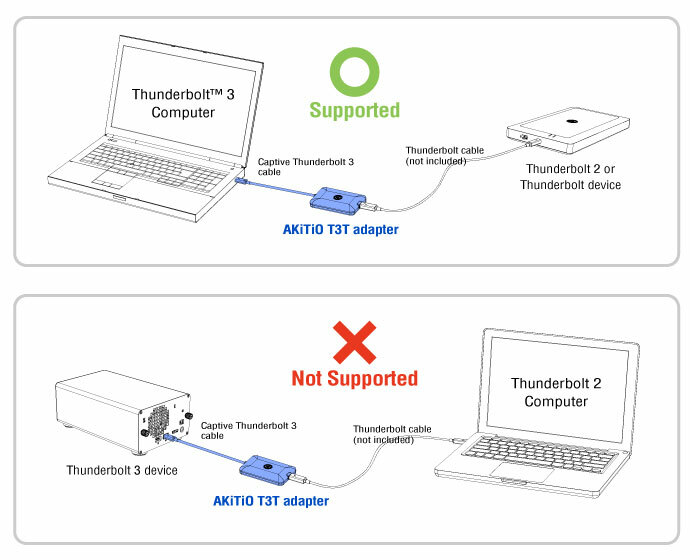 This adapter is not compatible with Thunderbolt 2 or original Thunderbolt 1 computers. The Overview and Specifications are provided by the manufacturer Akitio for model no. T3T Thunderbolt Adapter as of 02/2017.